Back in June we wrote about D&D RPG Sword Coast Legends' promising DM tools, which developer n-Space was showing off at E3. At PAX, we had a chance to DM a match ourselves, with senior producer Tim Schwalk walking us through all of the tools available to aspiring Sword Coast dungeon masters. We created an enemy named Superking Bongo the Great. And then we spawned an army of Bongos. It was pretty great. 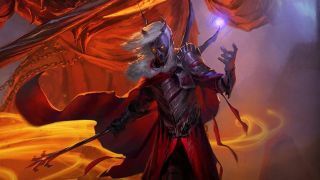 It's been a few years (okay, a decade) since we've gotten a proper new D&D RPG, and Sword Coast Legends has a promising team behind it, including Baldur's Gate and Neverwinter Nights veterans. The Neverwinter Nights heritage makes sense here: Neverwinter game gave players powerful tools to play dungeon master for an entire server of players, creating living online worlds. Sword Coast Legends integrates the DM tools into what feels like a modern version of the classic Infinity Engine, and like in Neverwinter, the DM can take direct control of NPCs and apply their own narrative and unique quests to their campaigns. The most exciting thing about Sword Coast Legends' DM tools is how much freedom they give you to be kind or cruel. You can spawn in loads of enemies, booby trap doors, even turn a party member's companion creature against them. But you can also create hidden secrets, plant treasure, and adjust the stats of monsters on-the-fly during combat to keep battles challenging, but balanced. N-Space underlines that it's a "four with one" system, as opposed to four versus one, but even with competition being a bit discouraged by the "threat" system, it's fun to surprise the party with tricks like toggling the disposition of a character from hostile to friendly, or vice versa. Or create a potion-vending spider. So there's that. Sword Coast Legends is out on September 29th.